Operation Geryon was the name given by Italian Carabinieri to an investigation into the armed theft in January 1994 of eight Greek decorated vases from the medieval castle of Melfi, which had been an Italian state museum since 1950 (Watson and Todeschini 2007: 1-18). The vases were recovered in October 1994 during a police search of the antiquities dealer Antonio ‘Nino’ Savoca’s home in Munich, Germany. 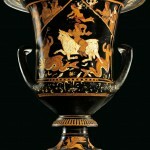 The Munich search was conducted at the request of Greek police who believed Savoca to be implicated in the theft and smuggling of Greek artefacts. The Carabinieri were invited to participate in the raid because Savoca was an Italian citizen. Along with the Melfi pots, the search revealed boxes full of broken artefacts from Italy, Greece, and Bulgaria, and a large cleaning facility containing intact pottery. The police also seized a card index cataloguing Savoca’s business transactions, which contained the name of Luigi Coppola as supplier of the Melfi vases. Back in Italy, the Carabinieri placed Coppola and his colleague Pasquale Camera, who had previously been a captain in the Guardia di Finanza, under surveillance. In August 1995, Camera was killed in a car crash while on his way to visit antiquities dealer Frieda Tchacos (Isman 2011: 51). 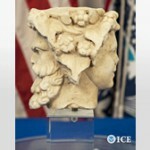 Photographs of what appeared to be illegally-excavated antiquities recovered from the wreckage of his car provided the Carabinieri with cause to search Camera’s Rome apartment. There they discovered real and fake artefacts, hundreds of photographs of artefacts, and paper documentation of Camera’s dealings. 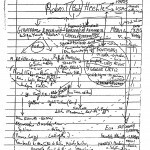 The names found in the documents led to seventy further raids and the arrest of nineteen people, who were subsequently tried and convicted (Watson and Todeschini 2007: 15). One of the raids was of the apartment of Danilo Zicchi in September 1995, which recovered sixty artefacts (Watson and Todeschini 2007: 15-18). Zicchi admitted that his apartment had been used to store illegally-excavated artefacts, and that acting on instruction he would mail artefacts abroad. The artefacts were usually broken into fragments for postage, to make for a smaller package, but also to attract less attention if the parcel should accidentally break. During a second visit to Zicchi’s apartment, the Carabinieri discovered Camera’s handwritten ‘organigram’ of the Italian antiquities trade, which triggered investigations of Giacomo Medici, Robert Hecht and Gianfranco Becchina. Operation Geryon was closed in autumn 1995. Watson Peter, and Todeschini, Cecilia (2007), The Medici Conspiracy (New York: PublicAffairs).